In establishing the College’s core values, God directed us to 1 Corinthians 13:13 “Three things will last forever - faith, hope, and love - and the greatest of these is love.” We adopted the “pebble in a pond” analogy with Love, Faith and Hope pulsing from the centre into the Northside Christian College community which, in turn, reflects God’s Grace and is focused on Service to His kingdom; those within community are called to embrace the character qualities of Perseverance, Integrity and Humility. Each ripple flows into the next. Everything is influenced by the core values; they shape and are seen in everything that we do. 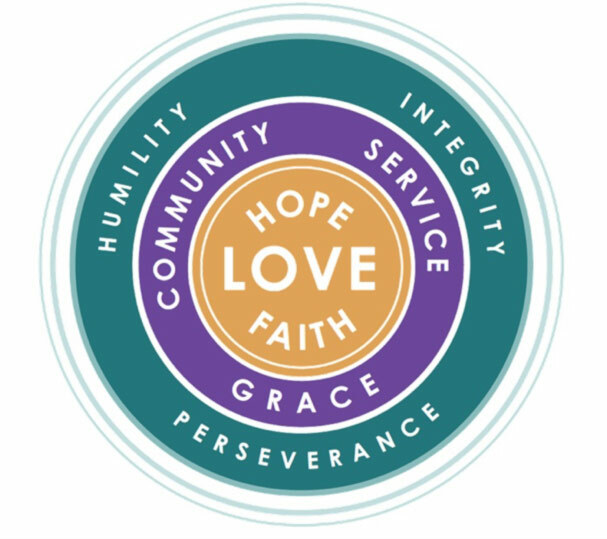 We hope that the College is known by the expression of Faith, Hope and Love as demonstrated by a sense of Community, Service and Grace. When our students leave the College, we want them to be young people hallmarked by Humility, Integrity and Perseverance.